Because they are so much larger and heavier, and accident with a tractor trailer can result in an impact that is far more severe and devastating than a crash with an average car. Truck drivers often work long hours and cover a lot of miles making driver fatigue a common cause of dangerous truck accidents. Every year, hundreds of Florida drivers are seriously injured or killed in crashes involving large trucks. Inappropriate monitoring of driver time behind the wheel and permitting drivers to operate tractor trailer without proper rest. 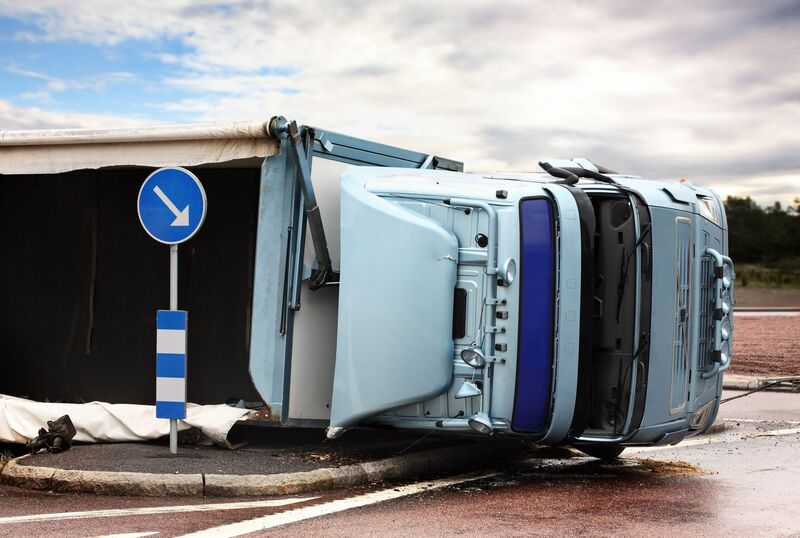 If you or a family member has been injured in a large truck accident, you may be entitled to compensation for your medical bills as well as pain and suffering. If you are left unable to work or lost time from your job, you may be entitled to additional damages related to your employment loss. We have the experience and financial resources to take on the most power trucking companies and their insurance companies. We can guide you through the legal process, and work with the insurance companies and medical providers to help get you back on your feet. Time is of the essence after an accident. The longer you wait before contacting an attorney, the more difficult it can become to gather crucial evidence and interview important witnesses. If you would like us to begin an investigation for you, please call our 24 hour hotline at 855-LAW-SPIN or 813-991-5099, or complete our online Free Case Review form and a member of our team will contact you.